What's going on in the nonprofit world? We like to share current information with our readers so that we can all be strong members of the nonprofit community. Enjoy! Turns out, even the smallest steps can have an impact. This Earth Day, consider your ecological footprint and enact these seven green ways to embrace today. If you strive to live a good life in all areas, journaling might be the next step to consider. Take a look at simple ways journaling can improve your life. There's no doubt about it: If you want to live a more knowledgeable, cultural and altruistic lifestyle, then learning another language has big benefits in store. Nutrition impacts every area of our lives, including our ability to live altruistically for others. So let's dive into how you can celebrate National Nutrition Month. Even if you care about a cause, how can you ensure you're a good fit for the position? Here are some ideas to help you find the right fit for volunteering. There are ways we can challenge ourselves to grow in empathy. If you want to learn more, check out these tips for how to cultivate more empathy for others. What if you could live with more compassion this week and share love with other people in your community, country or even the world? Turns out, you can! It can sometimes be difficult to consider how exactly to recognize Black History Month. What can you do? Here are six ideas for honoring Black History Month. There is a genuine skill to meeting new people and establishing relationships with them. And, you don’t even have to be a social butterfly to master it! If you strive to live an altruistic lifestyle, there are a variety of different ways to be more charitable without spending money. Here are some ideas to try. You want 2019 to be a great year! If you want to start the new year off on a positive note, check out these seven steps to keep in mind as we dive into 2019. If you want to make a difference in 2019, make giving a part of your New Year’s resolutions. Here are some ideas for how you can create resolutions that give back. If you live an altruistic lifestyle, you can give back and make someone's holiday a bit more joyful. Here are six ways you can brighten someone else's Christmas. As you prepare for all of the gifts, parties and dinners headed your way this season, here are some ideas for how to decrease stress during the holidays. For those of us who are able to give more, this is the perfect opportunity to get involved in the community and help spread the holiday cheer this season. If you want to join in and celebrate National Write a Friend Month during this wonderful winter season, here are a couple writing ideas to get you started. If you want to live a more altruistic lifestyle, help give back in the upcoming season by checking out these volunteering ideas for cold weather months. Thanksgiving marks an important season for all of us to take a moment and remember the little things in life—and every little thing we’re thankful for. If you have a student in your life who you want to serve the community, here are some tips for how to encourage teenagers to volunteer with a cause they care about. Caregiving is a valuable position in our community which often goes unrecognized. Let's look at what National Family Caregivers Month is and how you can celebrate it. If you strive to live an altruistic lifestyle, there are lots of ways to help out this Halloween. Here are some top tricks to make Halloween a treat for everyone. How can you encourage the children in your life to be active and volunteer with their community? We have some ideas for how to get kids involved in giving back. 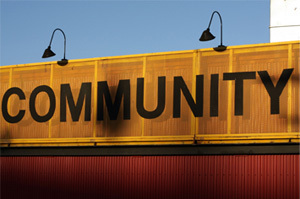 There are plenty of ways to get involved in your community. To get you started, we came up with six spooky-fun volunteering ideas for October. Books are a valuable source of information, creativity and empathy. If you're not a book lover now, you will be soon. Here's how reading makes you a better person. How can you get involved? If you want to join the fight against breast cancer, we have some ideas for how you can support Breast Cancer Awareness Month. If you want to live a more altruistic lifestyle, take advantage of the season of fall to dive into getting involved. Here are five fun ways to give back this fall. Two hundred thirty-one years later, the Constitution is still an active document for our country. So, how can you celebrate and honor this historic day? If you strive to live an intentionally altruistic lifestyle, you’ve come to the right place to learn more. Here are seven ideas for random acts of kindness. When it comes to giving back, Labor Day is the perfect chance to do something valuable for others. Here are some ideas for how you can get involved this Labor Day. Fundraisers are an important way to give back to your school and raise money to support causes you care about. However, fundraisers aren’t the only way to get involved. Whether they’re your closest family or a complete stranger, there are lots of simple ways to bring joy to others every single day. So, we came up with 10. If you live an altruistic life and donate to an organization or cause you care about, you might be surprised to find these life benefits from financial donating. If you want to take advantage of the last summer days and commemorate Family Fun Month with your loved ones, here are four ideas to celebrate this August. Whether you make friends with your next door neighbor, community member or someone who lives halfway across the world, you can celebrate International Day of Friendship. Here’s how. When you have an efficient morning routine, you set an effective tone for the rest of the day. Here are five ways to establish a productive morning routine. There’s more to Global Hug Your Kids Day than just giving your kiddos a hug or two. If you want to celebrate today, here are some fun ideas to get you started. Setting goals is simple. We’ve all heard different phrases, acronyms and ways to properly set a goal for life. However, accomplishing goals can be a whole different task. Do you want to make a difference and give back to your community this holiday week? Check out our list of volunteering ideas for you to try on the Fourth of July. Fortunately, there are a few ways and practices to grow in your communication skills. Here are healthy habits you can try to become a strong communicator. If you’re considering volunteering with a cause you care about in the community, consider the benefits you can receive. Here are the top eight benefits of volunteering. Caring for animals is an important part of living an altruistic lifestyle. Today we explore how you can live more altruistically with the animals in your day-to-day life. If you try to live altruistically, then combating your own loneliness can play a vital role in how you serve others. Here’s how to overcome loneliness in everyday life. How can you continue to honor and respect the service men and women dedicated to protecting this nation? Here are six ways to show your support this Memorial Day. Mentoring a child helps them to see unlimited possibilities for the future, learn something new and most importantly, realize that somebody cares about them. While it might seem simple to say talents can help others, actually identifying your talents and putting them to good use can be a little bit more difficult.